Also, if you have COPD and other conditions that impact your ability to work, then you may still qualify for disability benefits. 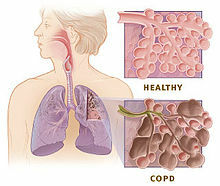 Many COPD patients also have other medical conditions as well, such as coronary artery disease, high blood pressure, diabetes, and obesity. Contacting a Social Security Disability attorney will help you determine if you qualify for benefits.